According to the Department of Energy (DOE) Survey in 2009, 98 percent of homes had standard (tank) water heaters, of which 51.4 percent were natural gas water heaters and 41.3 percent were electric. That same year, about 8 million water heaters were purchased, with about 82 percent being sold as replacement units rather than for new construction. Water heaters account for approximately 14 to 18 percent of residential energy usage each year. Your hot water heater is an appliance that you use every day. You need it to clean your dishes, your clothes, and yourself. As such, it is also an appliance you want to keep in good working order. After all, a new water heater can be expensive, costing over $1,000 dollars in most cases. One of the often-neglected maintenance duties is draining, or flushing, your hot water heater. But before you undertake such a task, it is important to understand that the water will be very hot; and, you could get scalded if you don’t take the appropriate precautions. While this article will provide you with a general guide to how to drain a water heater, it is not intended to take the place of your owner’s manual. If you don’t feel comfortable doing this maintenance yourself, you should hire a professional to do it for you. 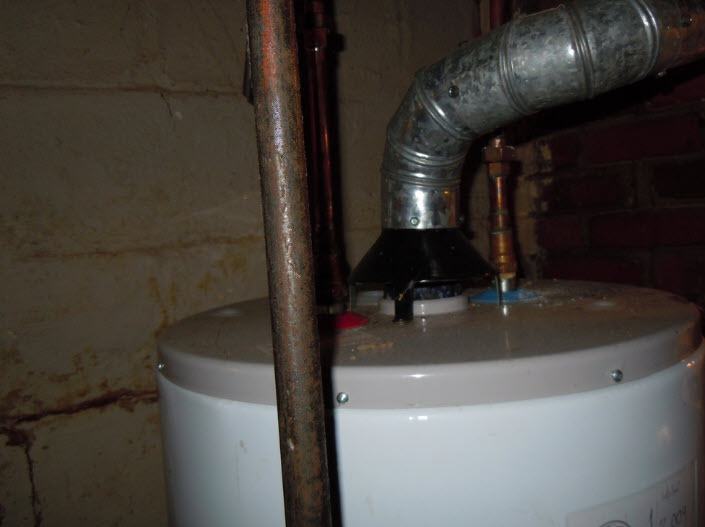 Why should I Drain my Water Heater? The average lifespan of this appliance is around 13 years. Over time, sediment, such as magnesium and calcium or calcium carbonate can build up in the bottom of the tank. Draining, or flushing, can eliminate bacteria as well as this sediment. It can also extend the life of your water heater and make it more efficient in its operation, saving you money. So, clearly, this is a task you want to perform on a regular basis. More on that topic later. Do I have to Drain my Gas Water Heater? Yes. All the same rationale applies to gas water heaters. The instructions below will differentiate between gas and electric water heaters whenever necessary. Turn your electric water heater off at the circuit breaker. There are two schools of thought regarding the gas water heater. You can either turn it to the “pilot” setting or turn it off at the main gas line. To let the water heater, cool down before you begin, open the hot water side of the shower, tub, and /or sinks. Since the way water heaters work is by letting hot water flow from the top of the tank while cold water comes in at the bottom to keep it full, this step will help you replace the hot water with cold water. Turn the faucets off when you are done with this step. Connect a hose of good quality to the water heater drain valve and place the other end in the floor drain or, if none, outside. Open a hot water faucet close to your water heater to allow air back into the water heater. This will keep a vacuum from forming that would otherwise stop the water from flowing out. Turn off the cold-water supply inlet valve at the top of the water heater or turn off the water at the meter. Open the temperature and pressure release (TPR) valve. This valve is located near the top of the tank. Also referred to as the “T & P” valve, it is a safety device that is made to open and relieve high temperature and/or pressure to avoid an explosion should heat or pressure build up in your water heater. Open the drain valve near the bottom of the water heater to let the water drain out through the hose. When the water stops, turn off the drain valve, close the TPR valve, remove the hose, check for mineral build up in the drain valve and clear any clogs in the drain valve with a wire. If the T & P valve doesn’t reseal due to sediment, pull on its handle a few times in order to flush the sediment out. If it won’t seal, contact a professional immediately and have the valve replaced. NEVER cap the T & P valve’s discharge pipe to stop a leak. 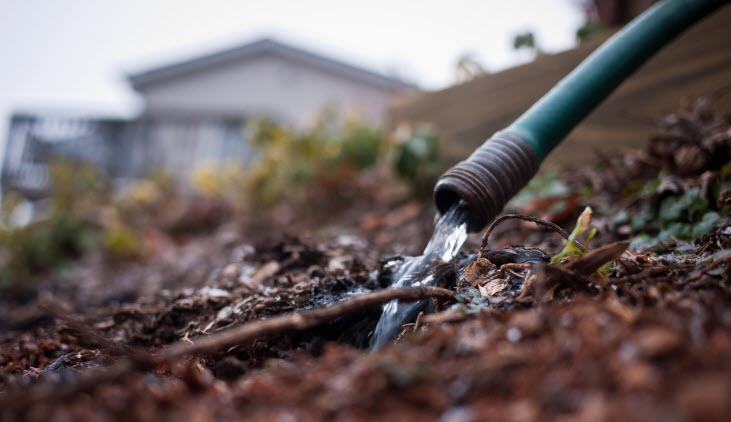 Replace the hose, open the drain valve and turn the water back on, at the cold-water supply inlet valve or at the meter, letting the tank fill until it flows from the hose for 2 to 3 minutes, then shut off the water again and allow the tank to drain. Repeat this step until the water flows clear. Shut off the drain valve and take off the hose. To fill the tank, open the cold-water supply inlet valve or turn the water on at the meter. Make sure the drain valve is closed and isn’t leaking. If it is, turn off the water, clean any sediment from the valve, then restart the water and make sure the leak is fixed. Then fill the water heater. Let the hot water faucet flow while the tank is filling until the water from the faucet runs clear and there is no air coming out. Turn on more faucets in the house, upstairs too if you have one until the water runs clear. Turn the water heater back on at the breaker for electric water heaters and for gas water heaters, either turn your thermostat back up to its original setting or turn the gas back on. How often to Drain a Water Heater? The consensus regarding how often to drain a water heater is that both electric and gas water heaters should be drained at least once a year, at least in areas with hard water. However, the U.S. Department of Energy, through Energy.gov, recommends that you flush a quart of water from your tank every 3 months as regular maintenance, depending on the type and model of your water heater. The National Board of Boiler and Pressure Vessel Inspectors recommends that, following the guidelines listed above, you drain several gallons of water 2 to 4 times a year, and even more often in areas with hard water. So, to maintain the efficiency of your water heater, and prolong its life, draining it periodically, at least once per year, is a good practice. Of course, your owner’s manual may be your best guide as to how often and how much to drain from your water heater. And again, due to the elevated risk of injury from scalding water, if you don’t feel comfortable performing this task on your own, hire a licensed professional to do it for you. You should always put your safety and the safety of your family first.